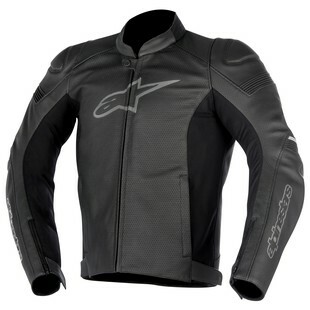 The Alpinestars SP-1 Airflow Leather Jacket is here! Astars had really brought a contender to the perforated leather fight. With its sport styling and low key branding, this jacket is sure to please. Coming in with Durable 1.3mm Premium leather construction with flexible accordion stretch panels you can move and stay unrestricted. High-density perforation on the front and rear panels will flow air right through you to keep you cool. The new shoulder protections with over-molded advanced TPU guard is layered under the outer fabric. And the chest pad and back compartments have new nucleon chest and back protector are available to fit. With an inner waterproof pocket keeps your phone and wallet safe if you get caught in a downpour. Over all the new SP-1 Airflow LEather jacket is going to be a super capable vented leather jacket. If you are carving the canyons in California or blasting the streets of NYC, Alpinestars is going to keep you cool and safe. "Lifes a garden dig it!"